This is the story of a lost medieval city you’ve probably heard about and yet never knew of its greatness. 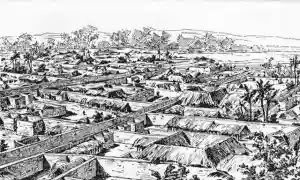 Benin City, originally known as Edo, was once the capital of a pre-colonial African empire located in what is now southern Nigeria. The Benin empire was one of the oldest and most highly developed states in west Africa, dating back to the 11th century. 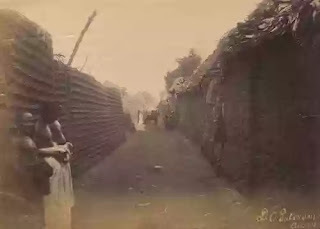 In contrast, London at the same time isdescribed by Bruce Holsinger, professor of English at the University of Virginia, as being a city of “thievery, prostitution, murder, bribery and a thriving black market made the medieval city ripe for exploitation by those with a skill for the quick blade or picking a pocket”. A house composed of a courtyard inObasagbon, known as Chief Enogie Aikoriogie’s house – probably built in the second half of the 19th century – is considered the only vestige that survives from Benin City. 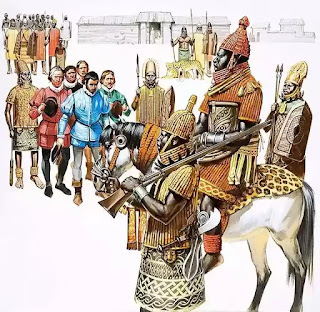 The house possesses features that match the horizontally fluted walls, pillars, central impluvium and carved decorations observed in the architecture of ancient Benin. Instead, if you wish to get a glimpse into the glorious past of the ancient Benin kingdom – and a better understanding of this ground-breaking city – you are better off visiting theBenin Bronze Sculptures section of the British Museum in central London.